Wight & Company designed and built this LEED certified building in 2014. 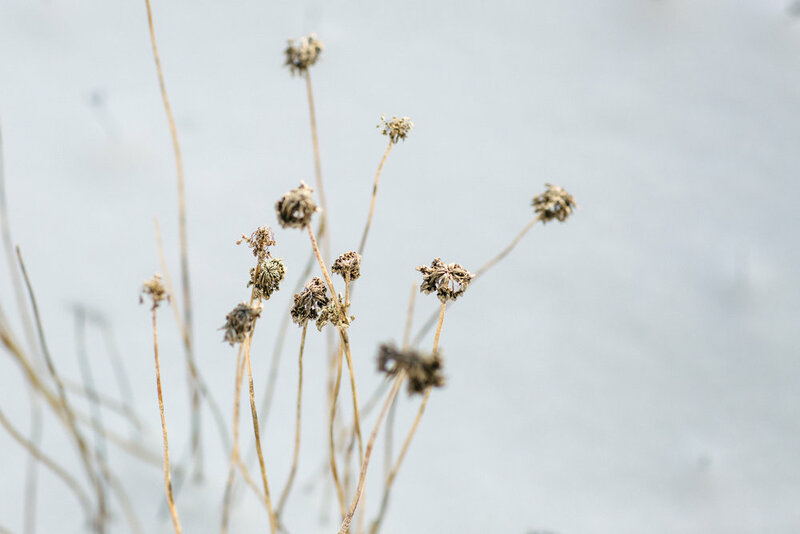 We are a hardy midwestern city, but this winter has tested even the best of us. After being cooped up during the polar vortex we were hungry to get outside. So, once again our Fieldhouse project opened the door. 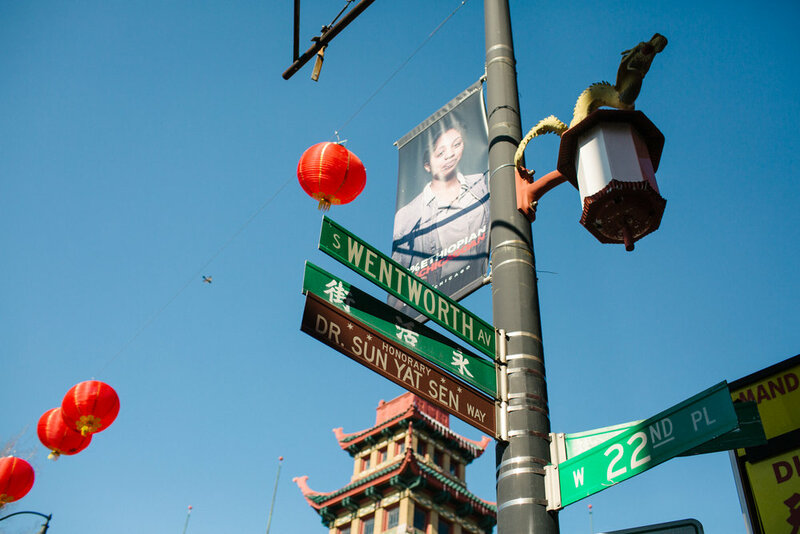 What better neighborhood to explore than Chinatown, right? So, we headed to Ping Tom Memorial park to see what there was to see. 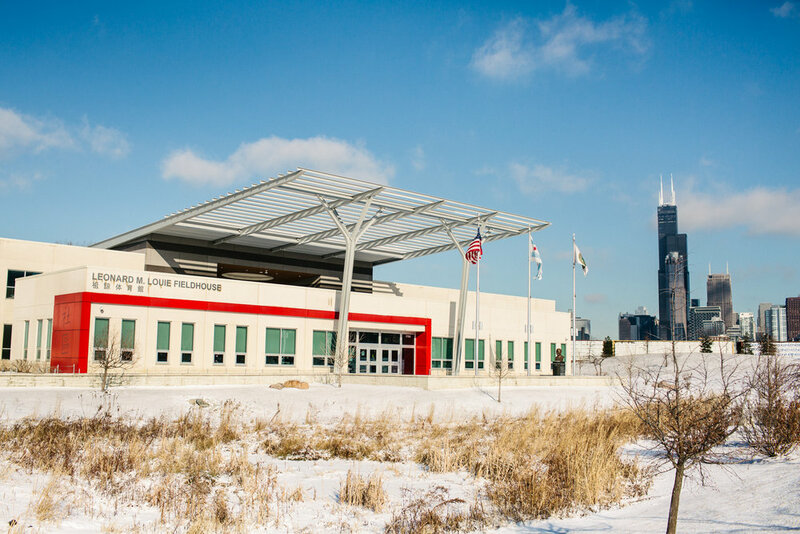 Just across the expressway, east of Pilsen, you begin to see the 12-acre park unfold and the bright red and white fieldhouse for Ping Tom Memorial Park. It is settled on the South branch of the Chicago River and framed by the Chicago skyline and the elevated red line trains going by. Right away it feels really different than the other parks we’ve visited. 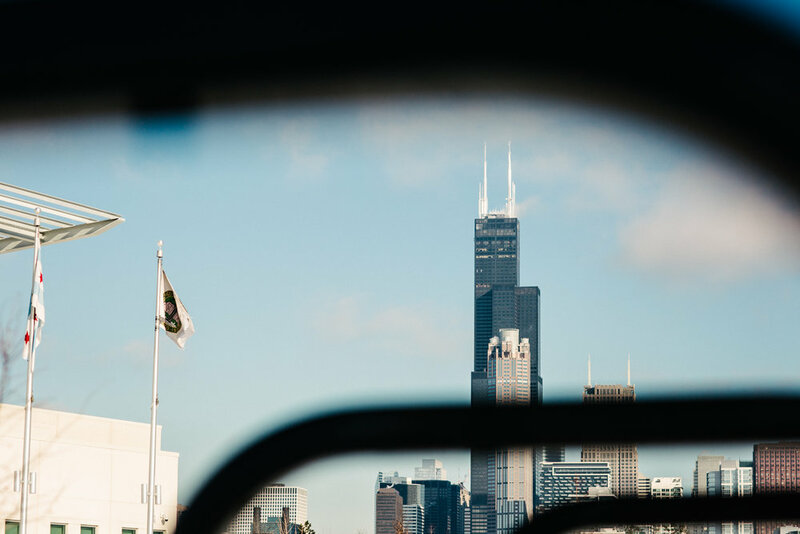 Over fifty years ago the park land in the area was demolished to make way for the Dan Ryan expressway; what was left sat vacant until the 1990s when the Park District acquired the site. The park was developed in 1992 and was the first open space development in the area in over 30 years. So, this new park is a celebration of new access to recreation and open space for the residences of Chinatown. In 1998 the city worked with Ernest C. Wong of Site Design Group to transform this industrial area into a rolling green space along the river with skyline views. It has a playground and community gathering areas. There is also a beautiful pagoda on the Chicago river that creates a large patio or event space for concerts in the summertime. It is a thoughtfully designed park that reflects the vibrant surrounding neighborhood. The day we visited was cold and windy, so we didn’t get a chance to wander the park itself. Instead we went straight to the fieldhouse on the northeast side of the park. There’s no missing it. 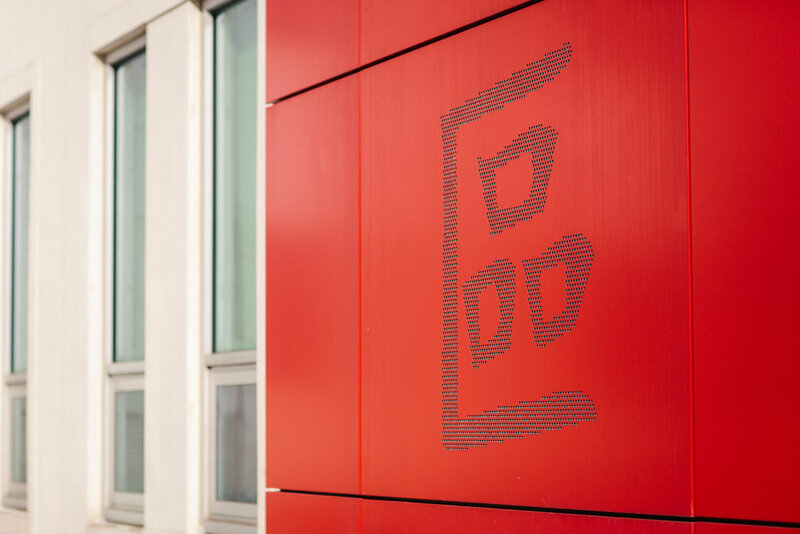 In fact, as we were driving over the bridge on 18th street, the modern bright red and white building really popped against the snow-covered landscape. We could see the attention to detail, even from afar. This new fieldhouse was constructed in 2013 and was LEED certified in 2014. 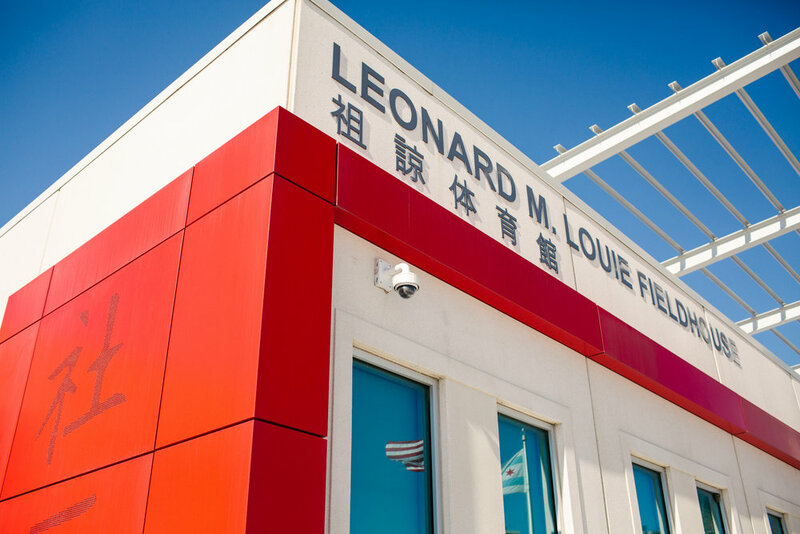 In October of 2015, the fieldhouse was renamed to the Leonard M. Louie Fieldhouse after a prominent member of the vibrant Chinatown community. 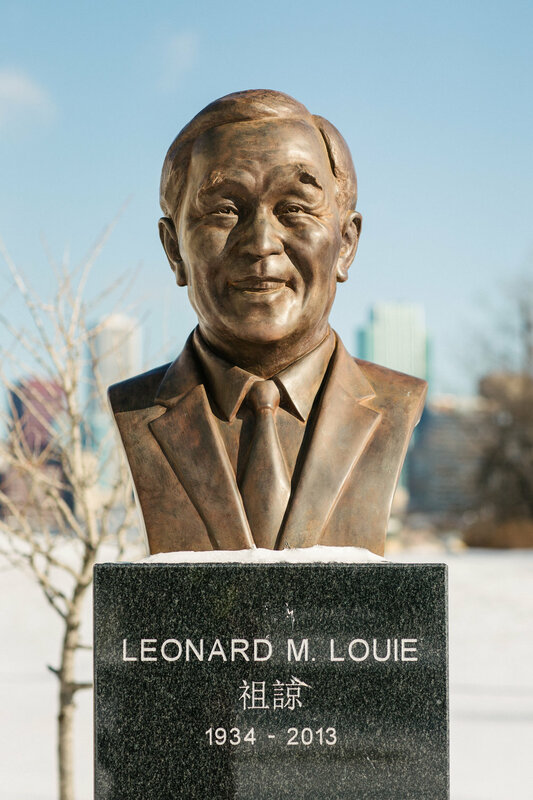 Louie was an advocate and civic leader in Chicago’s Chinatown community. 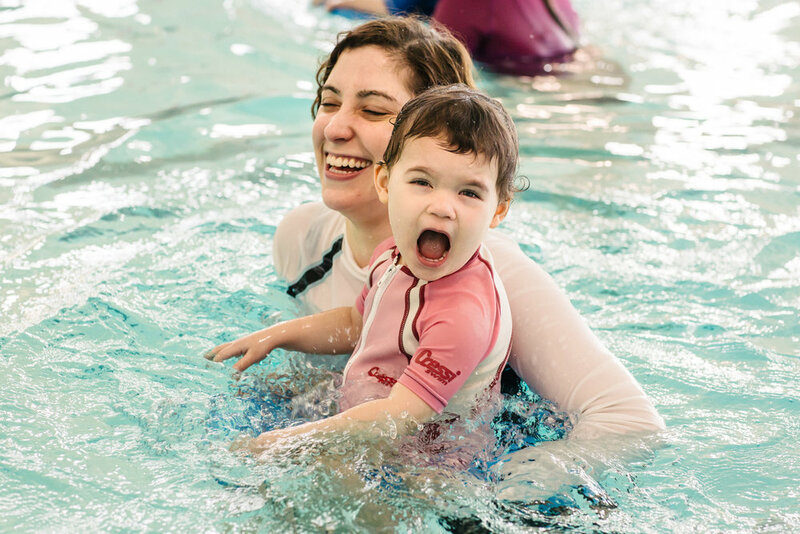 We knew we wanted to catch the Tiny Tots Swim Class at 10am. 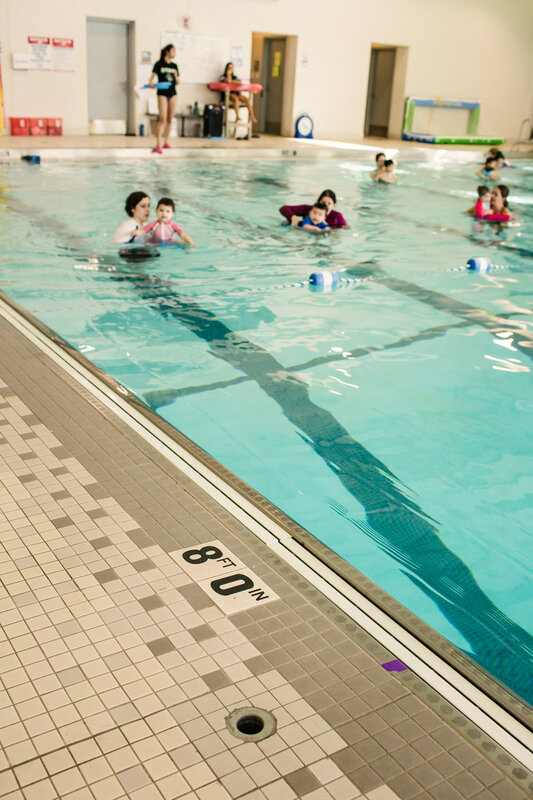 Since we arrived early, we decided to pop in to a class that was already in session: Senior Water Aerobics! The music was playing, and their arms were “dancing” in-sync! We counted 24 adults there having a good time getting their exercise. You could tell they were a regular group; they knew each other. As the class was ending, the teacher announced it was Felix’s birthday! So, before everyone left there was a song to be sung and high-fives all around when he proudly said he was now 85 years young. At the end, Felix took a bow. It’s during these times I think about the random friendships that develop at these fieldhouses. 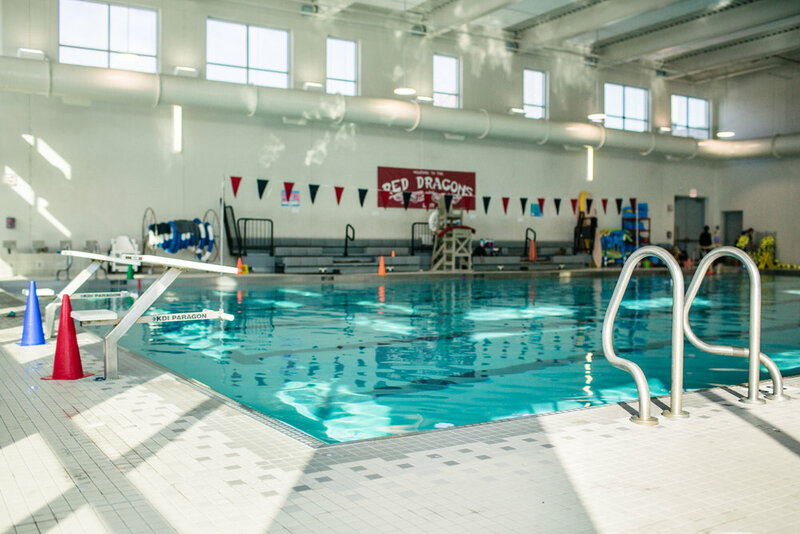 The pool can be this equalizer where people are all coming from different places, backgrounds, professions to suit up and dance in the pool. The pool is always in motion so as the seniors left to dry off a string of moms and young children started making their way in. Some were more excited than others about getting in the water. These mothers were great cheerleaders/warriors and did their best to make the transition tear-free. You also have to give credit the teacher on hand ready to pump the music, get the children in action and make it fun for everyone. Brandon, the fieldhouse Supervisor made our visit so easy. He was enthusiastic about our project and encouraged our visit. You could tell he was proud to share his park with us. He has been with the Chicago Park District for 11 years but his time here at Ping Tom has been the best of all. We told him how different this feels than other fieldhouses we have visited. Here we are in the heart of Chinatown, but this building is filled with all people Chicago. The diversity is hard to miss. The warmth and genuine kind spirit of the place really shines through. As Brandon left to get back to work, he suggested we check out the rooftop before we leave. We were glad he did! Brandon explained that this rooftop not only offers amazing skyline views and a bit of respite from the all the action downstairs; he makes use of every inch of his small fieldhouse. During the summer this becomes another activity station for camps and during the evening a very cool place to have a boot camp class! But on this February morning it was peaceful and still here. The only sound was coming from a redline train passing in the distance. As we walked out in the snow the skyline wraps around you and places us firmly in the city. This feels like a private space in the heart of the city. The next session we wanted to catch wasn’t until later, so we had time to explore neighboring Chinatown. We had just missed the Chinese New Year celebrations from the weekend before, but the decorations were still up and it was more colorful than usual. Since it was cold out, it was the perfect time to wander into the local shops on this bustling strip of south Wentworth Avenue. It was easy to be inspired by all the different products, colors and smells. A nice reminder that we weren’t at our desks this afternoon; far from Forward Design’s office. We had our sights set on something warm to eat! Back at the fieldhouse we wandered for a bit before heading into the gymnasium to catch the main event: senior table tennis. Ping Pong on a whole new level! 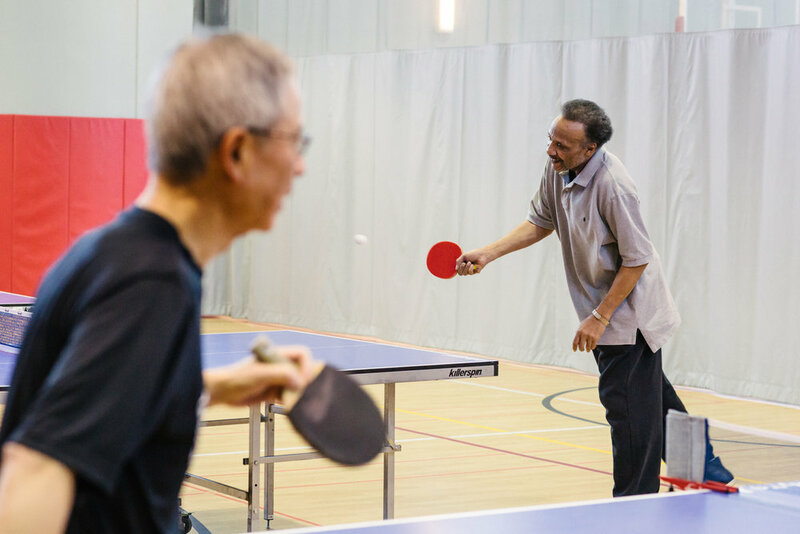 Once our bellies were full of noodles and warm soup, we were excited for what was next up: Table Tennis for ages 60 and up. These seniors volleyed back and forth with a precision and speed that neither of us were prepared for. This was truly an aerobic workout. The competitions may have been intense, but everyone was welcoming and were excited to show off their moves. Passionate about her cat rescue program on the city’s south side, Georgie was one of the many here playing with her friend that day. She and her husband have lived nearby for much of their life but were both checking out the fieldhouse that day. 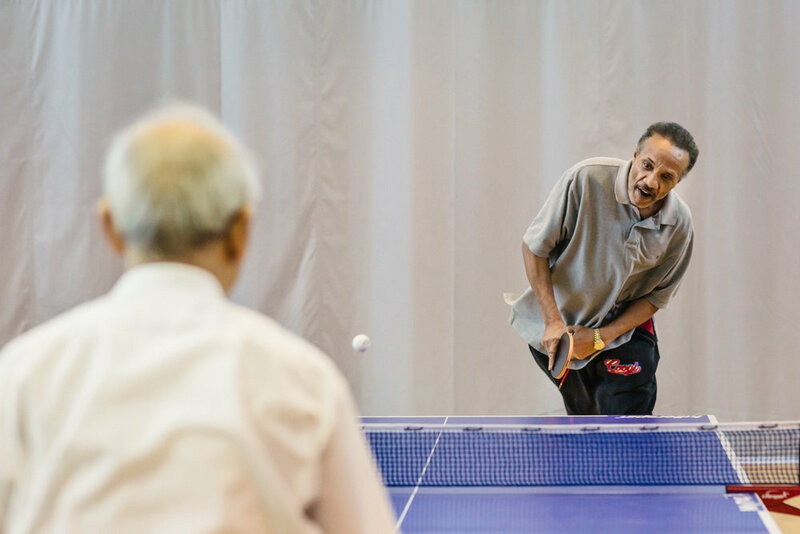 She had never really tried ping pong before but her husband wanted to swim here today she decided to make her way to the tables. To say these people were into it is an understatement. 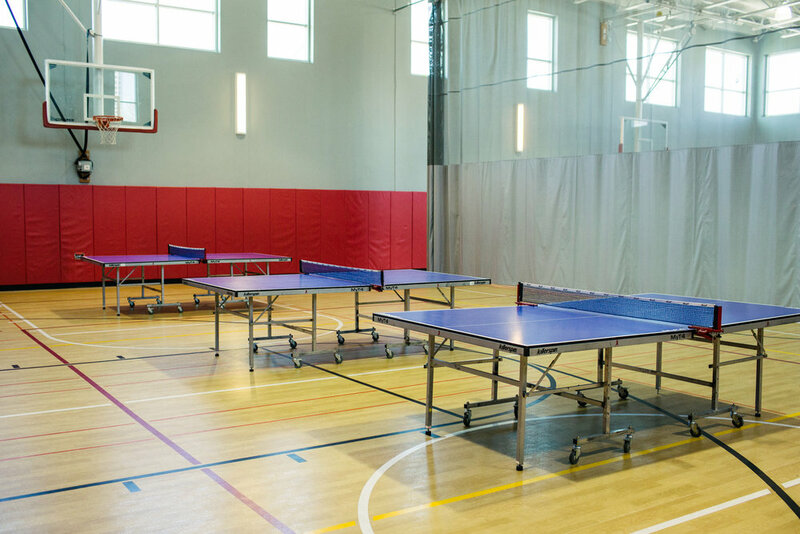 Who knew Ping Pong was aerobic! 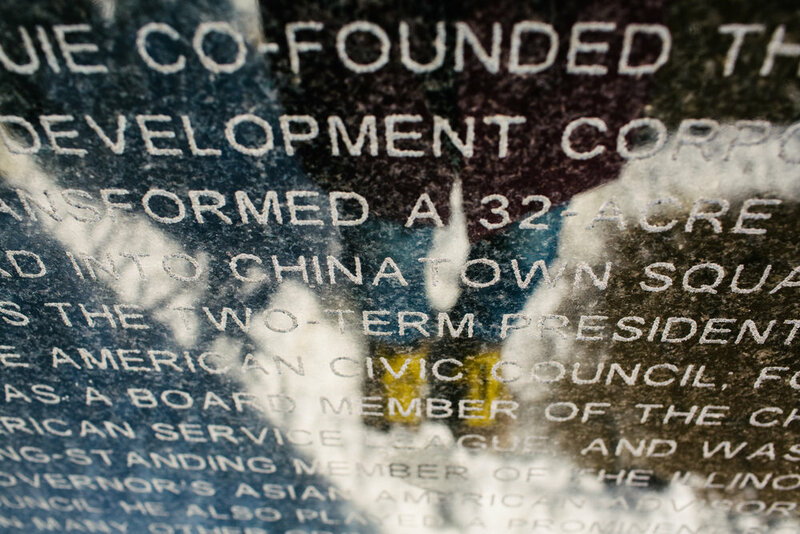 Ping Tom Memorial Park was the perfect place to spend an afternoon Out of the Office. Thanks to Brandon and all of the members of the community that we met. 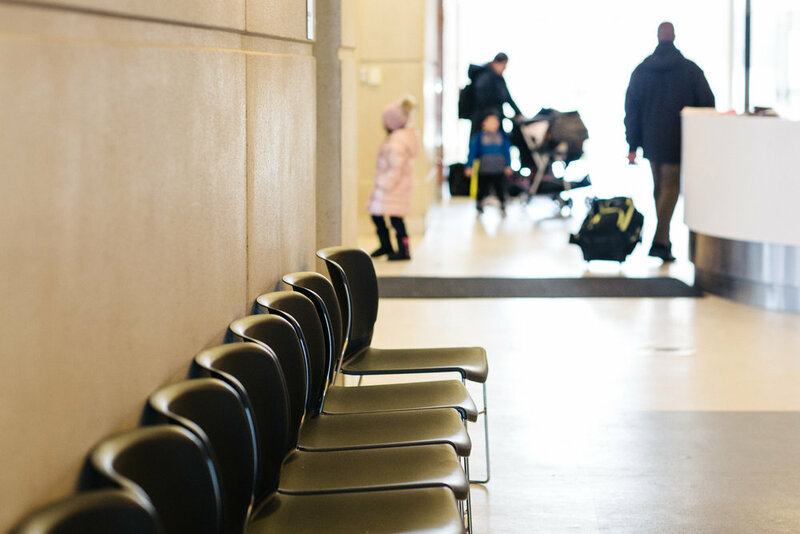 It was great seeing this space heavily in use on a cold Wednesday in the city and we will be back! One thing is guaranteed, Chicago fieldhouses never let us down. 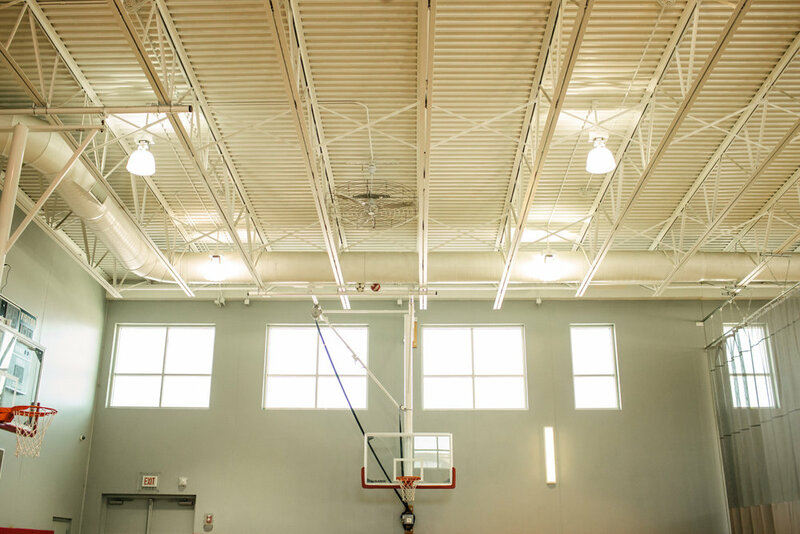 We want to hear from you… do you have any suggestions for a fieldhouse near you that has a story to tell?